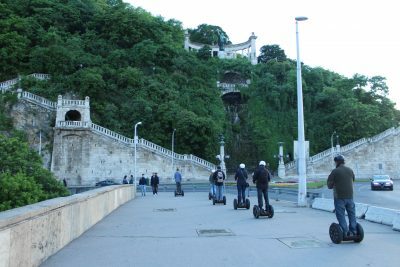 It is a classic group Segway tour offered at the lowest price possible. Starting every day at 10 AM, it gives you great opportunity to discover empty streets of the waking up city and to enjoy the main sights with no tourist group around. 3 hours of non-stop sightseeing full of fun and joy. 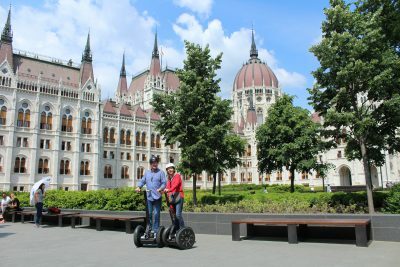 Don’t believe it’s possible to see all the main attractions of Budapest in a couple of hours and not to get tired afterwards? 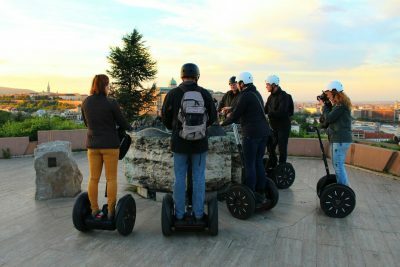 Choose this segway tour and we promise you won’t regret any minute! This group tour is great mixture of fun, panoramic views and historical aspects. 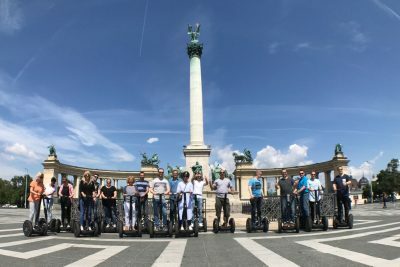 We will be riding Segway from the center of Pest to the hills of Buda and then gliding through Andrassy Boulevard to the largest and most symbolic square of Budapest- Heroes Square. 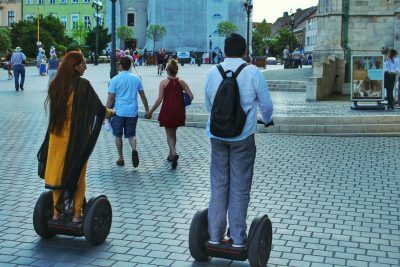 Have you ever been on Segway before? 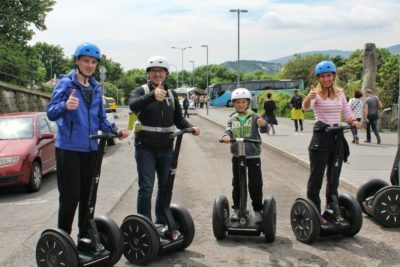 Kids want to try Segway but you are not sure if you want to take a longer segway tour? Would you like to surprise your friends with extraordinary activity? This option is right for you! What about terrific sunset views and the most beautiful panoramas of the city? 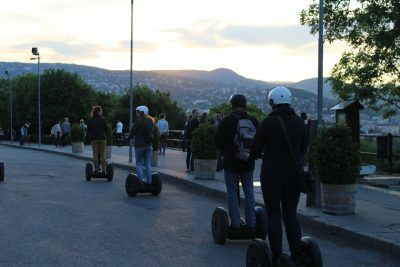 With this Segway tour we will climb up two significant hills of Budapest- Gellert hill with Citadella on the top and Buda Castle district- to admire the city plunging into the glow of night. 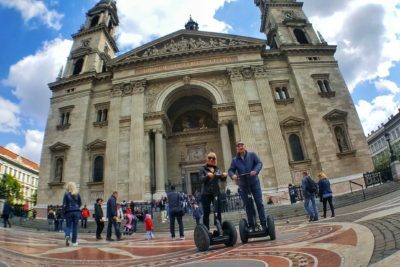 This Segway tour is a great way to discover Budapest’s most important central sights. 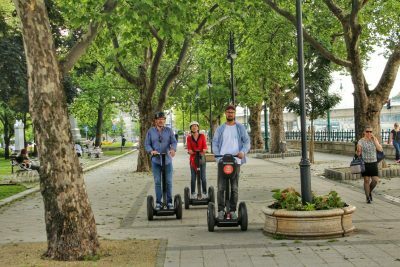 We will start the tour with exploration of Pest downtown, then riding to the Castle District, and finally getting to know the green heart of Budapest- Margaret Island. Glorious Parliament and Liberty Square are one of those places we will visit first and they definitely won’t let you stay indifferent. The Castle District is also full of surprises- fabulous Royal Palace, Mathias Church and stunning Fisherman’s Bastion will take your breath away.